We have been in Manitoba for two weeks now and I am still having this odd feeling, like I'm on foreign soil. My reference point is always Mexico, in every conversation. When I talk about 'home' now I am referring to Mexico, yet while in Mexico, I referred to Manitoba as home. The above quote so says it all. 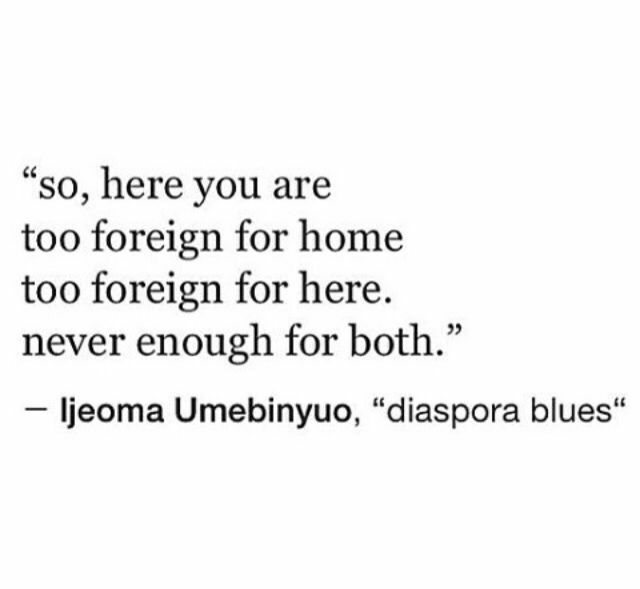 Neither here nor there. Don't get me wrong, I am loving being able to hang out with my family. I have lived two and a half years of life away from these people. They have lived those same years without me. How does one share that life with another, when that life was lived in a foreign place, so people you wish to share the story with have no context for the story? How do you talk about your life when you are not sure people even care? How do you give your story the depth that it has without losing your listener? That the weather in GDL is amazing every day, blue skies, sun and no wind. That a cool day requires a light sweater - yes, cool days do happen. That I love to eat out because I love real authentic Mexican food, which is inexpensive by comparison to eating out here. Flautas and chilaquiles make a great breakfast, that avocados go with everything and that 'deep fried' should be its own food group! That Mexican people are the most warm and embracing people. That they love on you in such way that you feel you belong - like you are part of their family - even though you know you don't and you aren't. It is a love and caring that is indescribable. That we just love going to the gym every day. We enjoy working out, most definitely, but what we really love is the camaraderie amongst our friends. That, while we are there for the fitness aspect, we are also there because we are family. Would just love to explain Danzika and my muscle toning class and how that has impacted my life. How much we love our study groups with our friends - studying the Word of God with people of faith, but a faith that is distinct from ours. How rich the discussions are, how challenging and inspiring. How we begin around 8 but at times go on till midnight, because the topic is incredible. That going to Puerta Vallarta, or any of the other beaches close by, are not all that amazing, per se. But going to one of them with Mexicans most always is, because they will take you places you would never find on your own. And it will always be better, because life is always better, richer, in relationship. And when I return to Mexico... I know I will be warmly received and welcomed. I will be told countless times that I was missed. They will share their lives with me and ask about what went on in mine. And I will settle in once again to life abroad. I will work to reconnect and shed my Canadian-ness and search for my Mexican-ness. I will once again feel like an apple in an orange grove, albeit another grove. I will struggle to adapt but adapt I will. So If you meet me, and I act odd, relax, I am odd! If I do something, or say something weird, well it probably makes sense to me, somehow. That said, if you look around you, Canada, Manitoba and even Steinbach (and every other small town here) has many immigrants. There are probably more apples in the orange grove, try to understand and maybe give them a listening ear. Ask questions and listen to their answers.